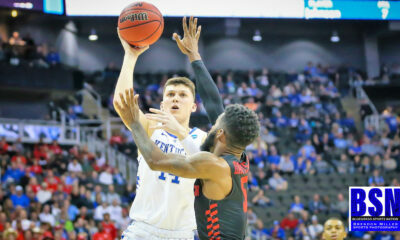 The Wildcats took the court Tuesday night to take on the #22 Mississippi State Bulldogs after winning their last four SEC games. This was their last SEC game before playing Kansas on Saturday and a win would make the Cats record against ranked opponents 3-1. John Calipari had a perfect record against the Bulldogs winning all 12 of their past meetings. It looked like it was going to be another sluggish start for the Cats, as the Bulldogs scored the first four points of the game. 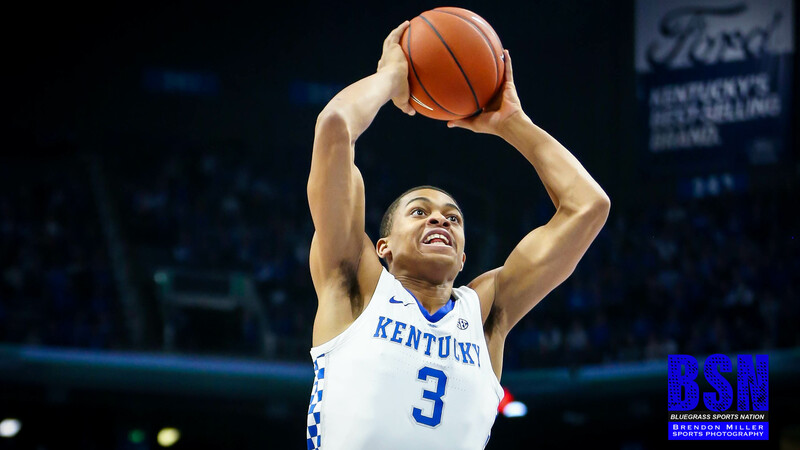 The Wildcats, however, went on a 20-3 run sparked by a fast-break dunk by Keldon Johnson. The Cats carried a lead the entire first half and ended the half with a 34-26 lead. The halftime lead could’ve been much larger if the Wildcats would have taken care of the ball better. They turned the ball over 9 times and most of the time it was when they passed the ball into the post. Tyler Herro picked up where he ended the game in Auburn by hitting all 3 of this three-pointers and leading all scorers with 11 at the half. The Second half started off bad for Kentucky. They had five turnovers in the first 6 minutes that led to a 7-0 run for the Bulldogs and allowed them to pull within three. Finally, the Cats woke up and held Mississippi State scoreless for 3:55 and went on a 13-2 run of their own. The Bulldogs weren’t able to make a comeback and the Wildcats won 76 to 55. P.J. Washington had a performance that we haven’t seen from him in a few games. He scored 21 points and grabbed six rebounds. 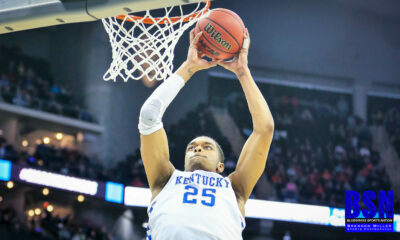 As a team the Wildcats shot 8-16 from behind the arc, while holding MSU to only 3-20. With this victory Kentucky has beat three top 25 teams in a row. They will look to make it four in a row when Kansas comes to Rupp Arena this Saturday at 6 p.m. Make sure to like Bluegrass Sports Nation on Facebook to keep up with the Cats on game day.